India has been declared the Diabetes capital of the world. For a middle-aged Indian population, it’s like the taxation system in India - they don’t understand it but unfortunately have no way to get rid of it. 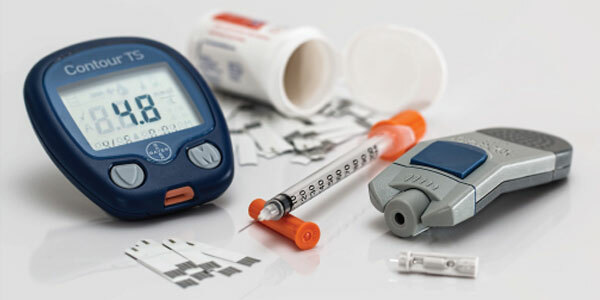 According to a recent study published in the Lancet journal, it was found that India has secured a position among top three countries with the highest number of people suffering from Diabetes, apart from China & USA. There has been an astonishing spike in the number of cases from 11.9 million cases in 1980 to a whopping 64.5 million in 2014, with the prevalence rate nearly doubled in the last 35 years1. By the year 2030, the figure is expected to cross 100 million according to a 2012 report by International Diabetes Federation. Retinopathy or Glaucoma affecting the eyes, Diabetic Neuropathy can cause disturbances in the nervous system, Nephropathy causes kidney disorders and most importantly it affects the cardiovascular system. The clinical effect of the disease is far from inconsequential. Many of the deleterious effects of excess glucose in the blood can be traced back to it’s harmful attachment to macromolecules in the body - a process known as glycation. The major risk factor for diabetes is obesity followed by a lethargic lifestyle. Lack of exercise, busy schedules and stress form a vicious circle that traps the neo-middle class Indian population. It doesn’t help that the Indian population is more genetically prone to diabetes than our western counterparts. Additionally, it is well demonstrated that diabetics suffer from a massive overload of oxidative stress, which negatively touches upon all aspects of metabolism. But the good news is rather than being a victim of the disease; we can completely reverse the situation and accept it as a wake-up call to make all the necessary changes in our lifestyle, eating healthy. Early detection and timely treatment is the golden rule to chain this beast. With timely intervention, change in lifestyle and increased awareness the global epidemic of diabetes can be slowed down considerably if not completely eliminated. Also, it would help reduce the economic burden for both the patient as well as for India on a larger picture. It is being predicted that by the year 2030, Diabetes will be the 7th Largest Killer globally. It’s time you get yourself armed and defeat the demon called Diabetes. India is the diabetes capital of the world!